Al Jazeera English journalists Peter Greste, Mohamed Fahmy and Baher Mohamed were reporting in Cairo when they were arrested on December 29, 2013. The three men were convicted of terrorism-related offenses on Monday. They have strongly denied the charges. Has the media learned anything since the 2003 invasion of Iraq? 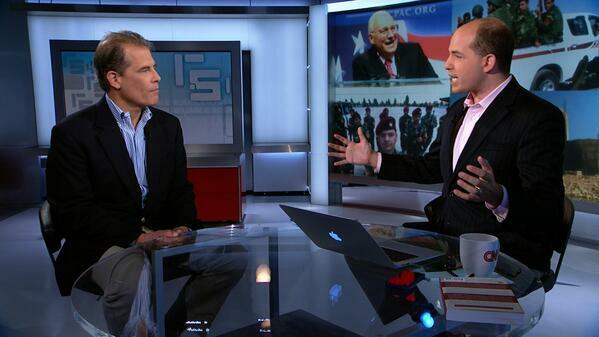 In the video above, Brian Stelter, Peter Beinart and Jonathan Landay discuss media coverage of the crisis in Iraq. Stelter's opening comment: "Who are the reliable sources on the crisis in Iraq? There has been a roar in recent days - I heard it all over my Twitter feed - from viewers who want to know who the so-called architects of the 2003 invasion are now inhabiting TV studios once again, giving advice about what to do this time." Peter Beinart, who wrote "Even Iraq's Sinners Deserve to Be Heard" for The Atlantic this week: "I think it's definitely true that the media's foreign policy conversation has an instinct towards kind of Beltway insiders who share basic assumptions. And some of the people who had the intellectual foresight and creativity to question the assumptions that led us to Iraq still don't get on the air, which is a big problem…"
Above, Brian Stelter interviews Tony Messenger of the St. Louis Post-Dispatch about the newspaper's decision to stop running George Will's column. 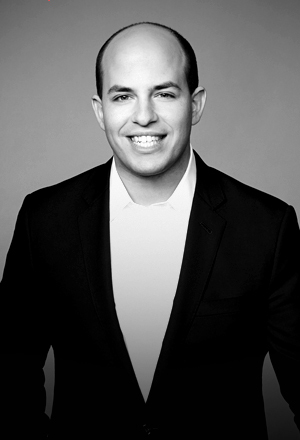 STELTER: This week, you told readers that you were thinking about pulling the plug for several months, but Will's column about sexual assault made the decision easier. Why is that? The parents of jailed Al Jazeera journalist Peter Greste talk to Brian Stelter about their son's condition one day before an Egyptian court hands down a verdict in his trial. Above, Brian Stelter and L.Z. Granderson discuss whether politics can compete with the World Cup in the media landscape. LeVar Burton explains how he's reviving "Reading Rainbow"
In a "Reliable Sources" extended interview, LeVar Burton talks to Brian Stelter about his Kickstarter campaign to revive the classic children's show "Reading Rainbow." The campaign ends on July 2.